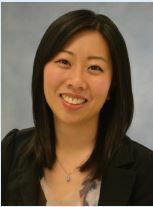 Dr. Wei received her dental degree shortly after graduating with her bachelor’s degree in Health Sciences from the University of Florida in 2014. While in school she was an active member of the Key Club, Circle K International and Kiwanis Clubs. She is currently a member of The American Dental Association and Academy of General Dentistry. She treats all phases of general dentistry and finds it rewarding to help others feel better about themselves. She enjoys forming relationships with her patients to ensure she understands their desires and needs. She offers tailored care to the best of her ability. “There is nothing more fulfilling than being able to help a patient find function and beauty in their smile again. As a dentist, I hope to fill hearts as well as teeth”. When Dr. Wei is away from the office she enjoys anything involving food! She loves to explore new restaurants as well as experimenting in her own kitchen. She especially enjoys trying cuisines from different nations and learning about the culture behind the food. She also enjoys volunteering and is actively involved in many charitable public health clinics and mission trips. She plans to continue pursuing her passion in participating humanitarian work. If Dr. Wei were not a Dentist, she would probably be a traveling food connoisseur/critic as it would combine her two favorite passions, learning more about different cultures and getting to eat everything and anything the world has to offer!